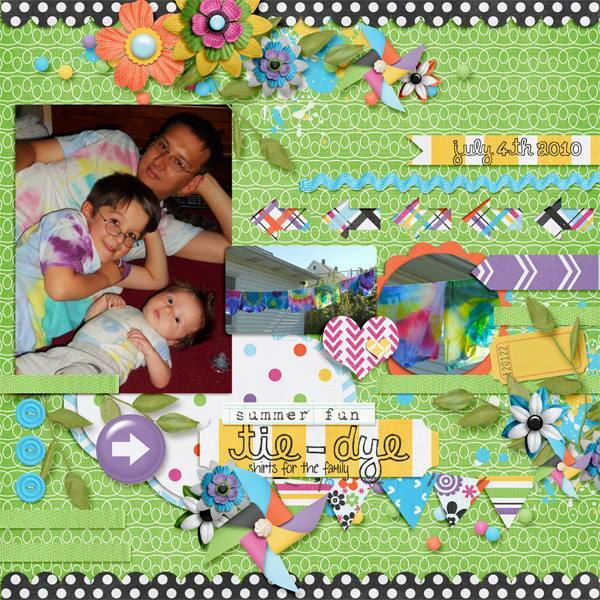 Fuss Free: Fuzzy Wuzzy and Fuss Free: Fuzzy Wuzzy 2 are sets of templates designed to show off your photo booth pictures. 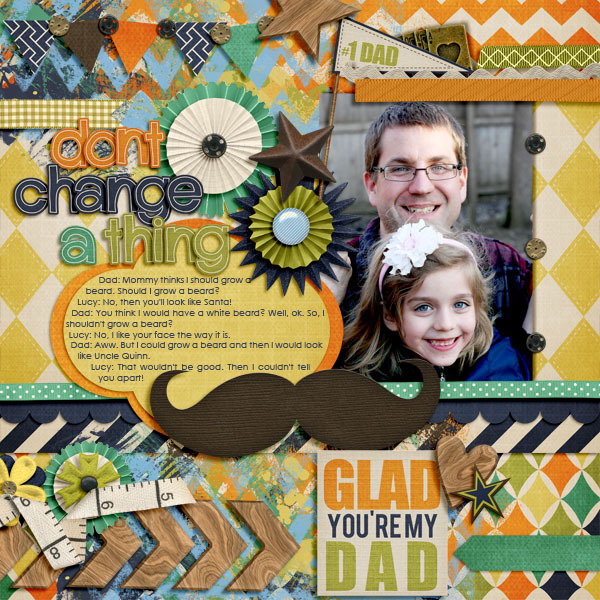 Each template features a different mustache (a staple of today's photo booth) so that you can clip your desired paper to the shape or you can easily replace it with a mustache from a digital scrapbook kit OR with another element entirely. Photo booth pictures are generally fun and all-over-the-place, and the layout compositions in this set are as well. 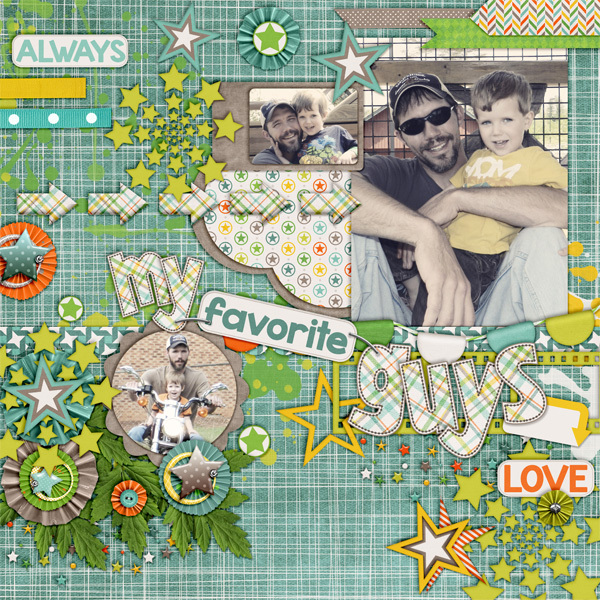 There are lots of elements to move the eye around the page, but right back to your fun and fabulous photographs! 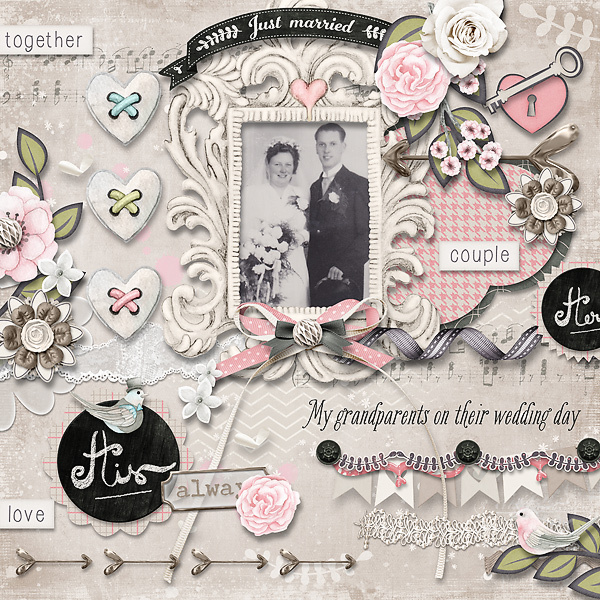 You can see in my Creative Team's layouts below that you don't have to use the mustaches or use photo booth pictures in order to use these templates to document your favorite memories. It was lovely hanging out with you, but now I must 'stache! (sorry, couldn't help it). Hope you enjoy these and have a lot of fun creating! New Products, Free With Purchase, and Giveaway! Fuss Free: Techno Geek FREE TEMPLATE!